When facing legal issues related to family law, the residents of Metro Atlanta, Georgia, rely on the law office of Whitney D. Mauk, P.C. 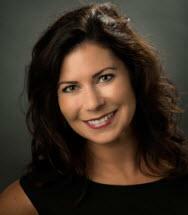 With a deep understanding of a complex legal system and a passion for representing the rights of her clients, Ms. Mauk has worked for over 15 years to obtain the best results possible for those facing both complicated and simple family law issues. Handling divorces involving complex assets, child custody, visitation, child support and alimony, relocation cases, contempt and legitimation issues, custody, child support and alimony modifications, collaborative divorce, paternity, and prenuptial/postnuptial agreements, she represents those in the Atlanta metropolitan area including Fulton, Cobb, and DeKalb counties. With a focus on creative solutions to settle disagreements through mediation, Ms. Mauk and her staff at the law office are nevertheless prepared to take any case to trial to get the appropriate results. From high-asset divorces to contested custody battles and the drafting of prenuptial agreements, she is prepared to handle any legal matter with a qualified, knowledgeable approach gained through time and experience. At the law office of Whitney D. Mauk, P.C., the goal is to give clients personal and specific attention, as every family is unique and desires a different result.